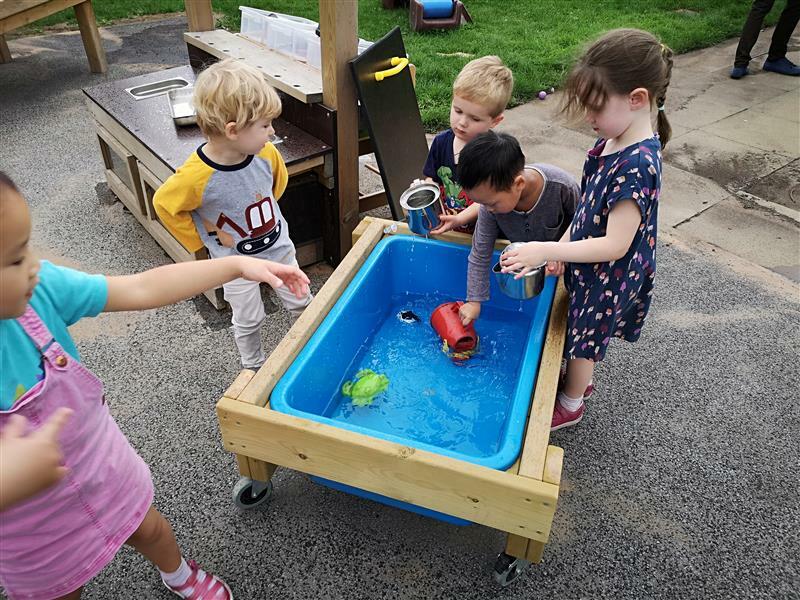 Water play is a stimulating and exciting activity for Nursery children to participate in; pouring, filling and observing the effects of water on different objects. Young toddlers will gather around the table to engage in communal child-led messy play and conversation; enhancing their communication, language and social skills as well as beginning to develop their sense of touch. 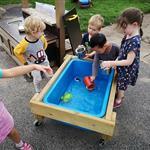 Introducing a sturdy, Movable Water table into your Nursery garden allows all children to play while standing. This reduces any feeling of frustration and enables children to become inclusive and cooperative. The table can easily be moved into any area of your Nursery Garden by your Practitioners while ensuring it is always secure for play with lockable wheels.